Capadia Designs: Family Time - time to Celebrate! Today we will be celebrating with family and friends. 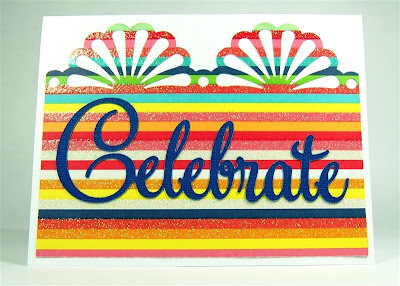 There are lots of things to celebrate - our younger son's college graduation, our older son's engagement and my father-in-law's birthday - and it will be a exciting day for everyone. 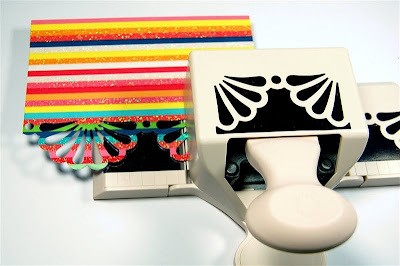 I need to focus on last minute preparations so I thought I'd link back to a post from last year about using border punches. I often get questions about these punches and last year I wrote up an explanation on how to keep the results as neat and even as possible. Please click HERE to go to the post. I hope you are having a wonderful weekend - our weather has been a bit chilly but sunny and bright and it looks like if there is any rain today it will wait until late in the day. Congrats! Sounds like a very busy day. We are celebrating a high school graduation today. Sure hope the rain holds out for your parties. We're still having a drought here in southeast Texas. The "up" side is we haven't had any deadly storms either. You are always so helpful. Thanks for the info on the punches. It just makes sense. I should have figured it out. Anyway, have a wonderful day and congratulations to everyone. Such a fun day you have planned. I know from your posts how proud you are of your sons. Have a wonderful day with family and friends and I hope the sun stays around all day! YOU do have a lot to Celebrate ..hope you have a Wonderful time with family!!! And Thanks SOOOoooo much for giving directions on border punching. I have just tried to eye-ball in the past..duh!!! !